Here’s a brand new line of designer cat furniture from Paris. 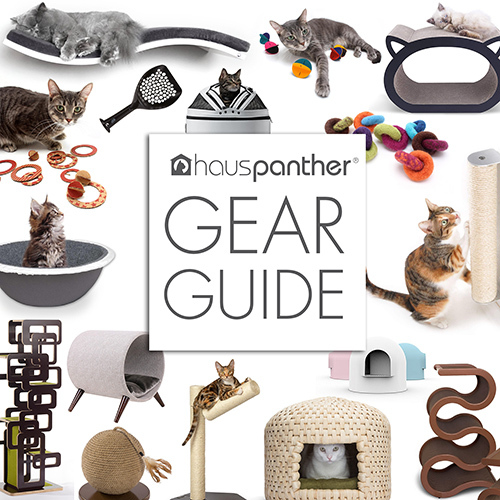 Introducing Meyou, a line of beautiful and functional high-end feline furnishings. The line has been in development for a year and they are getting ready to launch a Kickstarter campaign to bring the pieces to market. The collection currently includes three pieces: The Ball, The Cube and The Bed. All are handcrafted in Paris using the finest natural materials — solid wood, metal, cotton and wool. 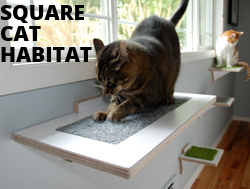 The designs have an architectural feel and would look amazing in a modern home, plus each piece has been designed with a cat’s natural instincts in mind. Cozy cocoons provide the perfect hideaway and a combination of textures and heights offer nice variety. Visit meyou-paris.com for more information and to find out about their upcoming Kickstarter campaign. I’ll be sure to let you now when the line is available for sale. Beautiful and yes, very high-end! LOVE the ball and the cube, which are somewhat similar. But the bed seems small for cats who want to stretch out.